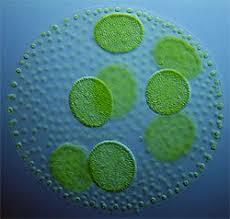 July 3, 2010 (San Diego) -- Congressman Bob Filner (D-San Diego) applauds the announcement of a $9 million U.S. Department of Energy grant to a UC San Diego led consortium for research into use of algae for biofuels. June 18, 2010 (San Diego’s East County) – In the hotly contested Governor's race, last week Republican Meg Whitman refused to debate Democrat Jerry Brown, challenging Brown to release a plan to improve California's economy. Now Brown, former Governor and current Attorney General, has responded by releasing a detailed eight-point action plan for investment in renewable energy technology and creation of over half a million green jobs--a plan he calls the "key to our economic future." See Brown's detailed plan here or scroll down for highlights. Whitman's economic plan relies on tax cuts, tax incentives and spending cuts which she contends will boost the economy. She has also called for repeal of AB 32--a step that leaders at Clean Tech San Diego (a nonprofit formed by prominent San Diego business leaders to make our region a world leader in green-tech industries) say would cripple the emerging green and clean-tech industries in California. June 14, 2010 (San Diego)--At a recent Home Energy Professionals meeting at the California Center for Sustainable Energy (http://energycenter.org) PACE Program Manager, Jeremy Hutman, enlightened a group of Energy Efficiency Auditors about new developments in the Property Assessed Clean Energy (PACE) programs in San Diego. May 25, 2010 (San Diego) -- Students from the Renewable Energy Leadership Institute (RELI) demonstrated their newly-learned skills to the San Diego Unified School District Board today, unveiling an electric go-cart and solar charging station. The RELI pilot program was conceived under leadership of school board member Shelia Jackson to generate excitement among high school students about career opportunities in the renewable energy industry. May 21, 2010 (Bonita) – Alan Ridley, former Clean Cities Coordinator, San Diego Regional Clean Fuels Coalition, will give a presentation based on the book The Party’s Over by Richard Heinberg. The free program will be held Monday, May 24 from 7 to 8 p.m. at the Bonita-Sunnywide Branch Library, 4375 Bonita Road in Bonita. Learn about clean fuel lternatives to our oil addiction. May 17, 2010 (San Diego) – Two energy measures drawing controversy this election season will be topics of discussion at an event Tuesday evening hosted by the Sustainability Alliance of Southern California. Featuring Spanish Language Garden Tours, Ms. Smarty Plants™ Explores Plant Adaptations!, Straw Bale Construction Workshop, In troduction to Greywater Systems, Summer Extended Hours and Garden Discovery Camp! May 17, 2010 (Rancho San Diego) —The Water Conservation Garden invites the public to enjoy its 2010 spring and summer events. 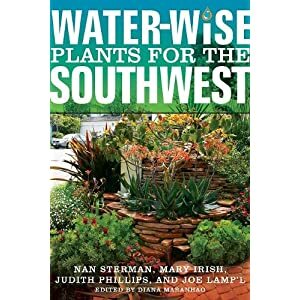 Classes help residents save water and money by focusing on water smart landscaping techniques and plants. Classes are taught by experts and topics include lawn removal, water-smart landscape design, backyard composting, irrigation design and gardening for children. Pre-registration is required for all classes. To enroll call 619-660-0614 x 10. For details, scroll down. May 11, 2010 (San Diego) – Starting this month, the State of California hopes to entice homeowners to replace their old water heaters with solar-powered systems. Under the California Solar Initiative Thermal Program, rebates up to $1,875 will be available for people who switch from natural gas or electric water heaters. May 12, 2010 (San Diego) – National Bike to Work Day is Friday, May 21st. Locally, SANDAG and the San Diego County Credit Union have teamed up to offer prizes and info for commuters who register at www.iCommuteSD.com. Registrants will be eligible to win an electric bicycle, spa gift certificate and more – plus a free Bike to Work Day T-shirt when you print out your receipt. May 10, 2010 (New Jersey) -- Imagine switching compost bins instead of sides on the tennis court? Planting vegetables in place of goals in the net. That’s exactly what Princeton High School kids in New Jersey are doing. In an elective program, they can choose to take Gardening in place of traditional PE classes. May 5, 2010 (Lakeside) - Hundreds of runners and walkers will gather this Saturday in Lakeside to celebrate the 3rd Annual Run for the San Diego River 5K Trail Run and Walk. The event starts at 8 a.m. with registration at 6:30 a.m and celebrates local efforts to preserve and restore the biological integrity and beauty of the San Diego River in Lakeside. May 3, 2010 (San Diego) -- San Diego County District Attorney Bonnie M. Dumanis (photo, left), California Attorney General Edmund G. Brown Jr. and 18 other District Attorneys throughout the state announced today that a $27.6 million settlement has been reached with Wal-Mart for violations of environmental laws and regulations. It is one of the largest environmental settlements of this type brought by a prosecuting agency in U.S. history. 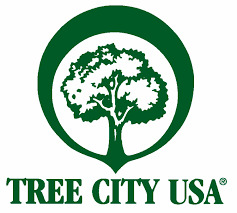 April 30, 2010 (El Cajon)—The City of El Cajon invites the public to its 13th year of receiving the Tree City USA award and the 21st Annual Arbor Day ceremony. Festivities will begin at 3:00 p.m., next to the Ronald Reagan Community Center, located at 195 East Main Street. In celebration of Arbor Day, over 125 trees will be planted at El Cajon Parks, public grounds, parkways and schools. San Diegans are invited to celebrate spring with a bloom of activities at the Water Conservation Garden at Cuyamaca College on Saturday, April 24, 9:00 a.m. to 4:00 p.m. The College’s Nursery, run by Ornamental Horticulture students, will feature a large selection of ornamental plants, including drought tolerant varieties and the iconic Matilija poppy, or “fried egg plant”. Horticultural demonstrations will highlight the department’s programs throughout the day. April 19, 2010 (Crest CA) -- The Earth Discovery Institute at Crestridge Ecological Reserve is hosting a Spring Festival celebrating Art and Kids on April 24, 2010 from 9 to 12:00 a.m.